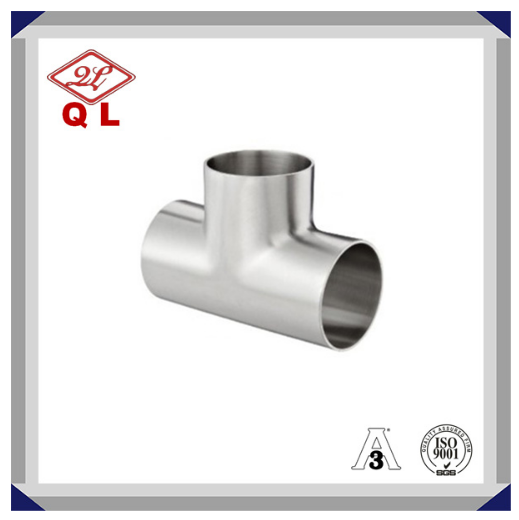 Welded Equal Tee with three openings for connecting and branching three pipes or tubes.Stainless steel 304 or 316L for resistance to corrosion and high temperatures.Maximum operating pressure rating of 250 psi at 70 degrees F ambient temperature.Meets 3-A Sanitary Standards, we can also provide other standards, such as SMS/DIN/IDF/ISO etc.Surface treatment-Mirror polish inside, brushed outside or polished inside and outside, customized is available. 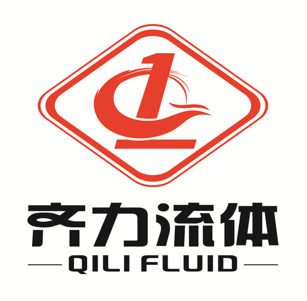 Qili can supply Pipe Fittings with weld end, clamp end, and thread end connection. 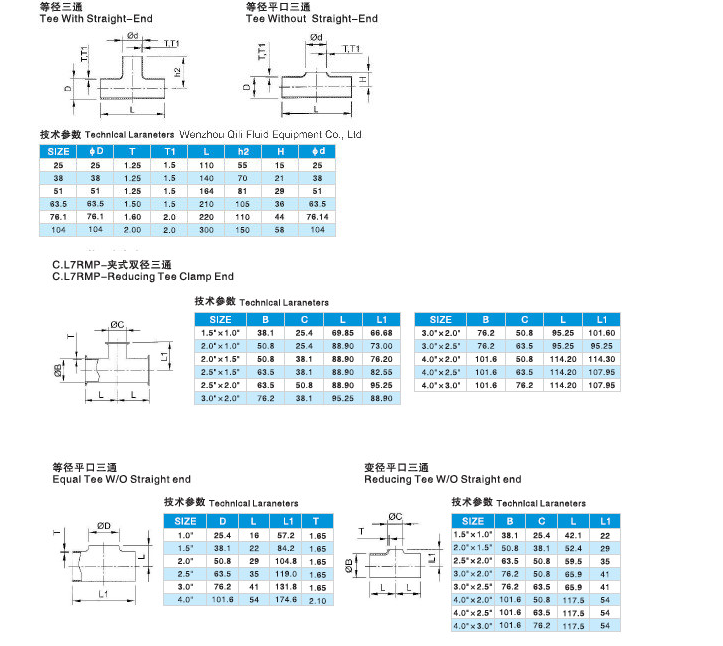 Requiring more detail information or catalog pls don't hesitate to contact us. 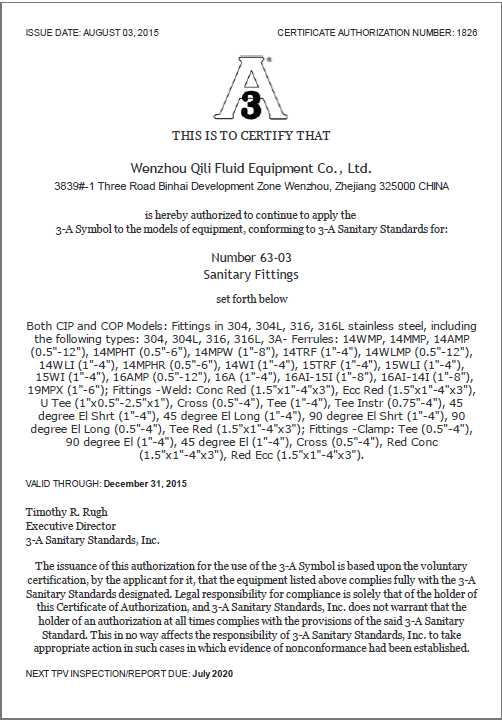 For all our products, we can also produce according to ur drawing if ur Specification is out of our standard. 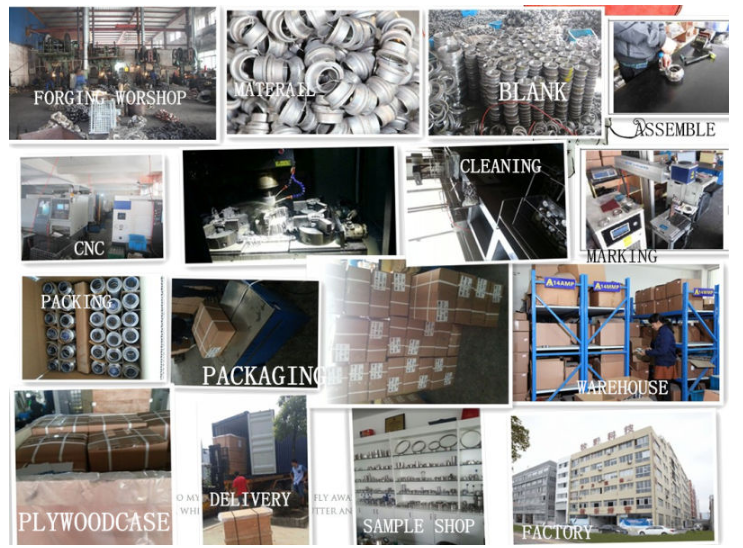 We also supply sanitary stainless steel fittings (tees, joints with elbows, floor drainers, pipeline sight glass, gauges), sanitary stainless steel tubes, sanitary stainless steel pumps (centrifugal, self-priming and cleaning), sanitary stainless steel valves (three-way ball valves, butterfly valves, diaphragm valves, sample valves, divert valves, plugvalves, ball check valves, and disk check valves), accessory items and component parts. We specilize in this field more than 20 years, with good quality and pretty competitive price, We offer one-year warranty and lifetime technical support. 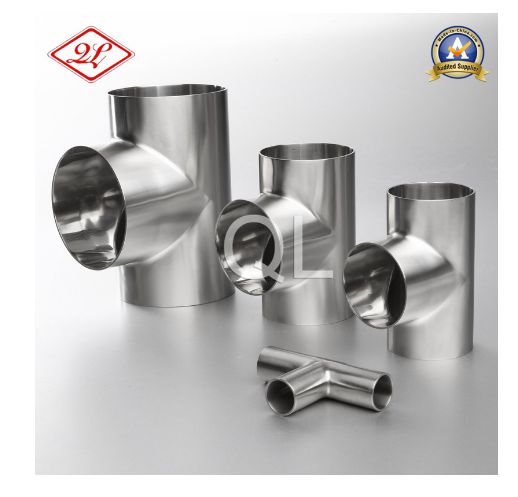 Looking for ideal Welded Equal Tee Manufacturer & supplier ? We have a wide selection at great prices to help you get creative. 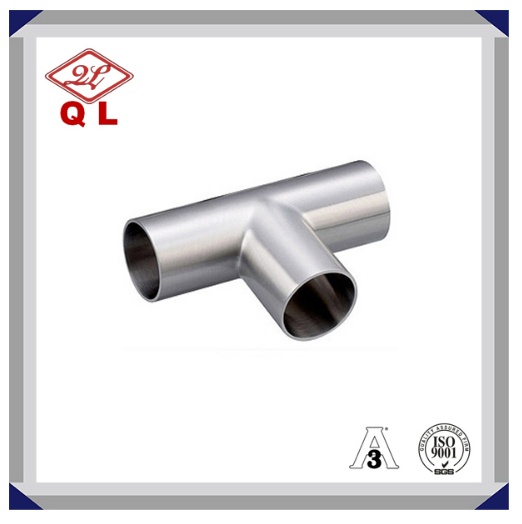 All the Stainless Steel Welded Equal Tee are quality guaranteed. We are China Origin Factory of Sanitary Welded Equal Tee. If you have any question, please feel free to contact us.